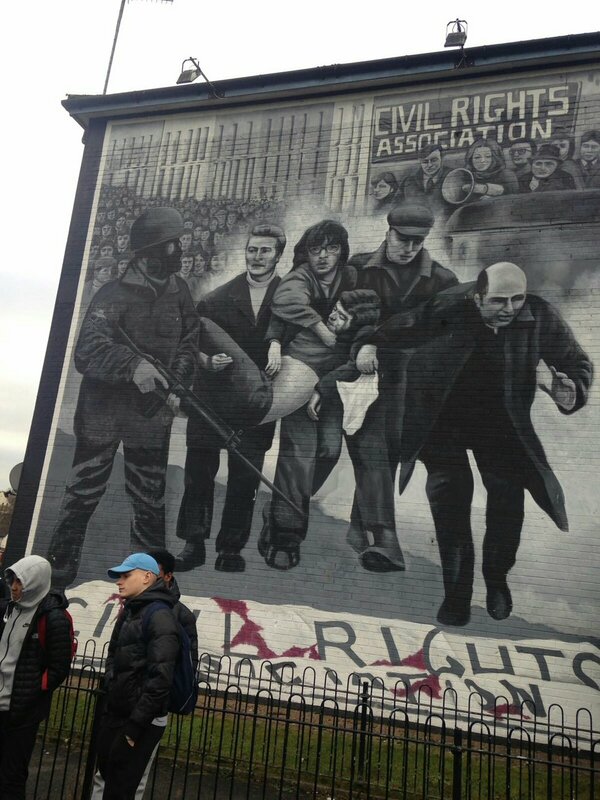 6th year Historical tour of Derry. On Monday Mr.Broderick and Mr.Cotter took their history class on a tour of Derry. 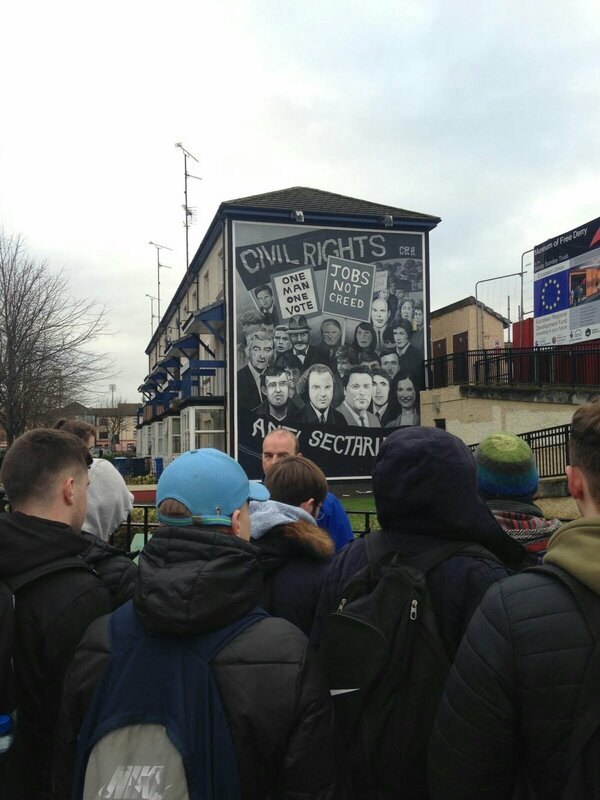 The group was guided on the day by a person who had experience of living in Derry during the troubles and provided our students with a balanced account of life during this time.